Why aren’t all women for women? Reflections from a panel discussion on women in business. Tiffany Kelly, Tiffany is a Founding Partner of RoundTable Global where she is focusing full time on her desire to create empowerment and balance in the world. 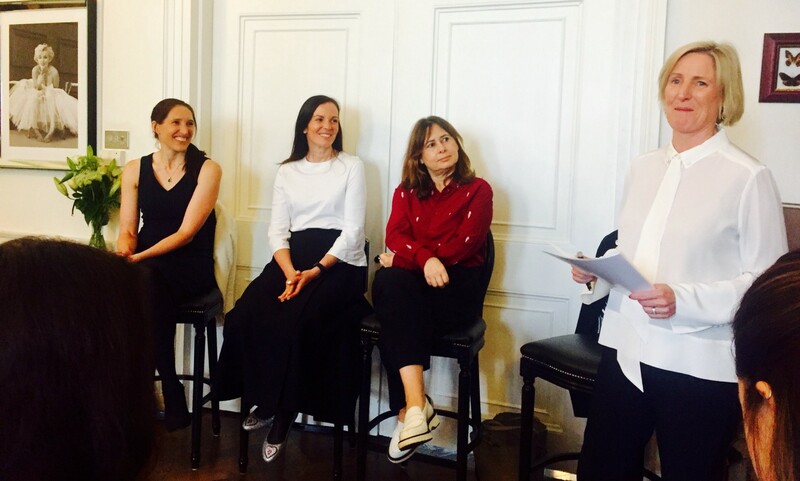 This is the question I found myself pondering as I joined around 40 women at a brilliant breakfast and panel discussion organised by Quintessentially Events ‘Women in Business: Confidence, Communication and Careers’. Quintessentially’s COO, Anabel Fielding was joined by Alexandra Shulman Editor-in-Chief of Vogue, Brita Schmidt CEO of Women for Women Intl and Jules Chappell OBE Partner of Hawthron Advisors, who were asked to give us an insight into their lives as inspirational and successful women in business. The discussion that followed was incredibly inspiring and also frustrating. Inspiring to hear how these amazing women have stepped out of their comfort zones and overcome difficult circumstances due to gender to become fantastic role models and frustrating because we ended up spending quite a bit of time talking about maternity leave and motherhood v’s career. I wasn’t frustrated by the stories shared which were useful and honest, I was frustrated that we are still having to talk about it. Why is this not a universal parenting conversation already? Why is bringing children into the world still something that a woman needs to seriously think about when weighing up her career options and ability to be ‘successful’. In addition to this I don’t think that we are aware enough of how powerful and impactful our language is and how the things we say influence others. For example we were told a story describing how women’s voices in confrontation situations sound like ‘nagging shrews’. This was in response to a great question posed about tips to help women communicate more effectively in the work place and, whilst I am sure it was well intended, I am not sure how this observation was helpful to women, especially as it was followed by a recommendation to be calmer and more considered. What about being authentic? What about feeling like you can be yourself in the workplace and that other women will have your back? Surely this is something we should be able to rely on from each other? The discussion that followed this centred on how women are extremely competitive with each other and one lady in the audience described how in her industry women are constantly competing with each other and that there is no support at all. Add into this mix another comment which I am sure was unconscious in terms of the language used, which described a former female leader as basically being ‘a man’. This discussion raised points which I felt needed further consideration: How can we expect men to take us seriously, support and collaborate with us when we are not doing that for each other? How can we expect to feel empowered when we are constantly judging and criticising each other? There was an anecdote shared about women who judge other women for being a feminist based on their choice of life style. Who makes up the rule book for who can seek equality for all? Does being an ‘It Girl’ mean you can’t want equal opportunities? Another message that was shared was that ‘the defining quality we have as a human is to fight for our territory and our patch’ which is common language in the world or work but if this is the message that our female leaders are giving out, how can we ever expect to compliment rather than compete with one another? What I found most exciting about the discussion was that the women who were there in careers supporting other women really shone, both on the panel and in my private conversations. They shone as women who have a purpose and who have found balance in their lives doing what they love doing and also having fantastic relationships with their families. Another highlight was when Jules shared a lovely story about a leadership survey completed amongst the most senior Ambassadors in the UK Public Sector who when asked what advice they would give their younger selves said ‘its not worth it’. What they meant by this was, enjoy the journey of your career rather than focusing all your energy on getting to the top because when you get there you will wish you gave yourself more time to enjoy the different phases. Maybe if we listen to this advice we won’t feel the need to compete with each other so much. Specifically I loved listening to Brita because she is one of the most authentic human beings I have ever met and she spends her time empowering and inspiring women in countries of conflict. Women who absolutely need the support of other women because we are the only ones who can begin to understand what they have been through. I have been working with Brita for about 6-months now in her role as a Global Change Ambassador focused on our Global Goal of Empowering Everyone and it is through this that we have been inspired to create a version of our Shine Programme that we hope to deliver for women in countries of conflict. The brand Women for Women says it all, in seeking empowerment we need to support each other. This is my passion. To create cultures and communities of collaboration, mutual respect and support. Regardless of gender and regardless of lifestyle. I also love that Quintessentially are hosting these events and inviting women to share their stories. Starting a dialogue between women can be, from my experience, a powerful way to ignite change. So what can I add to this important conversation? I can tell you that confidence comes with knowing your skills, being authentic and creating a non judgmental eco-system to exist in. The ability to communicate effectively as a human comes when you have something to say that adds valued and you have created an eco-system that you are valued. My top tip for career advancement is to quote Joseph Campbell and to say ‘follow your bliss — find what you love doing and are passionate about and do more of it’. I would like to add from a personal perspective that this is exactly what I decided to do a few years ago when I realised that what I love doing is unlocking the potential in people and I have never been this happy or healthy. That is my measure of success. I look forward to the next event and finding further ways to combat the pre-conceptions about bringing together the masculine and feminine. Tiffany is an award winning solution designer, facilitator, speaker and author. She focuses full time on her desire to create empowerment and balance in the world. She is passionate about creating corporations and communities that are creative and compassionate as well as commercial and has also become an inspirational speaker leading women’s empowerment workshops globally and has delivered Ted Talks in Delhi and Tokyo. Tiffany is also the founder of RoundTable Global charity The Legacy Project and creator of the Global Youth Awards - recognising and rewarding young people for their contribution to community and the environment.